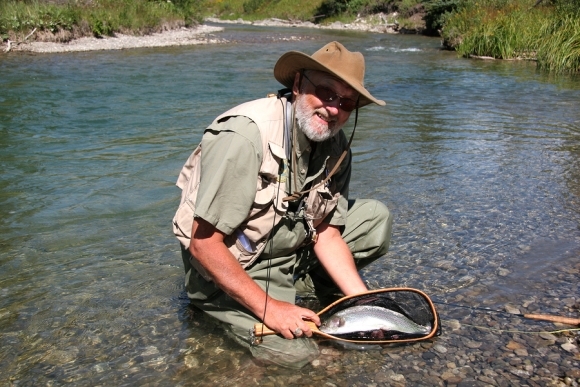 If you have never experienced Montana fly fishing, then now is the time to book a guided fishing trip with Healing Waters Lodge on the Big Hole River. Our knowledgeable guides can assist you every step of the way as you perfect your cast and increase your knowledge of the sport. Our Big Hole River fly fishing excursions offer an incredible opportunity to fish among some of the most scenic views in Montana. The Big Hole River is renowned as one of the best trout fishing spots in the country, which means you will need to have the right fly fishing gear to attract your catch. Our fishing lodge can supply you with this equipment and our guides can instruct you on how to utilize it properly once you are out on the river. Whether you’re hoping to snag a brown trout or a rainbow trout, you can be sure that your experience on the Big Hole River will be unforgettable and leave you ready to book another fly fishing vacation in Montana in the near future.